Director innovation and redesign Emma Clarke, Team leader outpatient physiotherapy department Westmead Hospital Katherine Maka, Project lead, Innovation and redesign Clementia Yap, Department head of physiotherapy, Westmead Hospital Maria Quinlivan, Acting team leader outpatient physiotherapy department Chrissan Segaram. Physiotherapist Katherine Maka and Chrissan Segaram from the Western Sydney Local Health District (WSLHD) who worked on the ‘We’ve got your back – improving access to care’ project have graduated from the Agency for Clinical Innovation (ACI) Centre for Healthcare Redesign (CHR) at a ceremony in Sydney. Graduates were awarded a Graduate Certificate (Clinical Redesign) by Elizabeth Koff, Secretary, NSW Health. At the ceremony, graduates presented the results of the projects completed as part of the program, in front of their peers, their local health district (LHD) sponsors, redesign leaders, ACI and University of Tasmania representatives. The CHR school is an intensive, challenging program which provides graduates with the knowledge and skills they require to improve health service delivery throughout their career. ACI Chief Executive Dr Jean-Frederic Levesque said the program supports better patient journeys through the development of innovative new ways of delivering care. “It’s great to see a range of innovative projects showcasing new ways of delivering care and improving the way our healthcare system works,” Dr Levesque said. 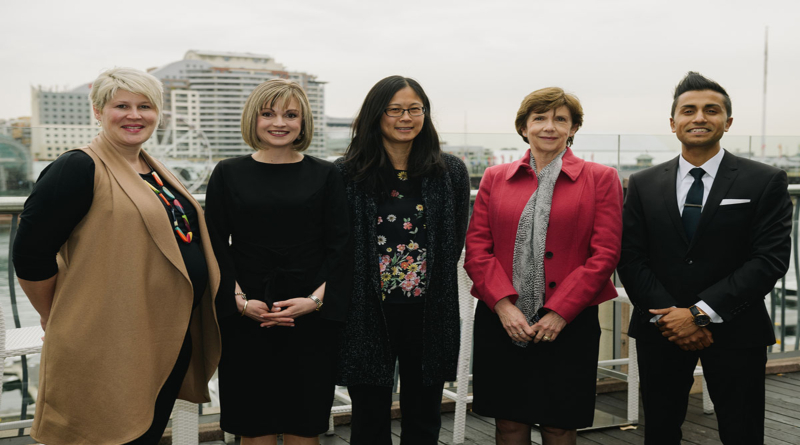 The CHR School partners with the University of Tasmania to offer three graduate certificate programs per year for managers and clinicians working in the NSW health system. The course offers the latest knowledge and training in project management, clinical redesign and change management for healthcare professionals and managers using a variety of teaching methods including workplace coaching. During the program, participants are supported with comprehensive training and workplace mentoring. They are also encouraged to lead a real project in their workplace and to talk with patients and staff to identify improvements. The ACI works with clinicians, consumers and managers to design and promote better healthcare for NSW. To get involved in the conversation on Twitter follow @NSWACI and #CHRSchool.